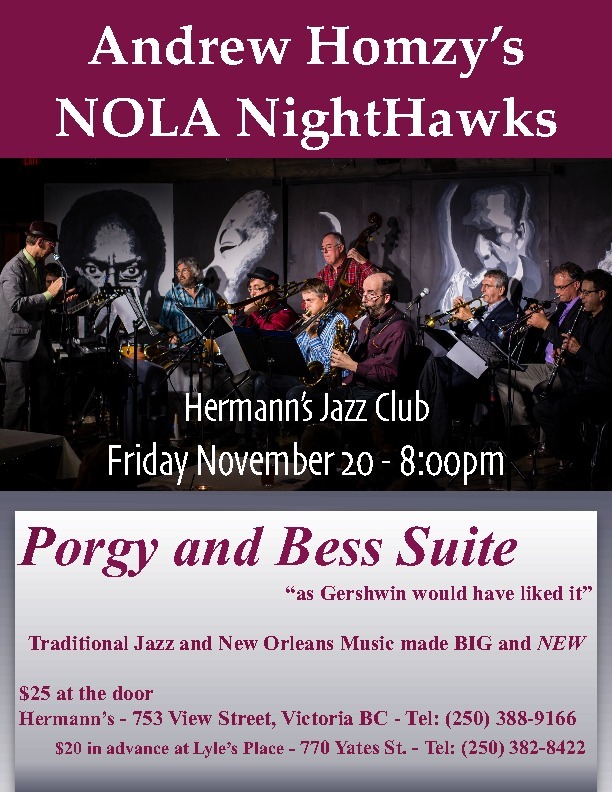 Andrew Homzy’s NOLA Nighthawks presents a concert suite of ten selections from George Gershwin's Porgy and Bess. 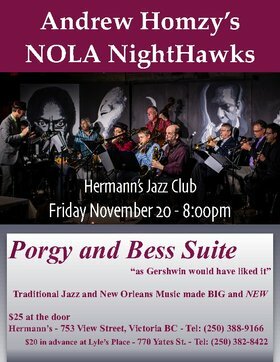 The second set - and dancers are very welcome - will draw from their rich repertoire of traditional and contemporary jazz from New Orleans. 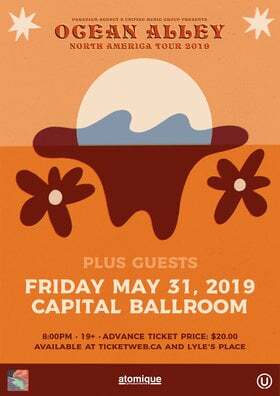 A Nanaimo citizen since 2009, Homzy was a moving force on the Montreal jazz scene for more than 40 years.